Final preparations for the 2015 travel season was last week. Our colleague, Debi Jo Michael arrived in Istanbul from Edmonds, WA. Debi Jo is in the Tour Ops department of Rick Steves Europe and we manage Turkey tours together with her. Besides the annual Rick Steves workshops and meetings in January, we hold a another workshop in Istanbul just before the first tour starts. All Rick Steves Turkey tour guides and a Rick Steves manager always join these meetings. During this meeting we go over the tour itineraries day by day, each guide shares their experience and suggestions, we consider tour member evaluations and then decide if to keep as is or to change, and if to change what and how. Sometimes we all agree, sometimes we all laugh and sometimes we argue, strongly. Eventually, we decide considering best interests of our travelers. We finished last of these meetings last Friday. We all are still good friends:) We celebrated the meetings eating chicken wings! Rick Steves Turkey team in Istanbul at SRM Travel. Gülsüm, Burçe Kürkçüoğlu, Gökalp Kasım, Lale Aran, Mert Taner, Taylan Taşbaşı, Mine Karahan, Yaren Türkoğlu, Debi Jo Michael. It is very important for us to continually expand our knowledge, for this reason we incorporate a training tour or lecture during our Istanbul “summit”. We invite the best possible teacher for this, usually professors. 2015 marks the 100th year of the Gallipoli battle and the relocation of Ottoman Armenians, so we invited a highly respected academician, Prof. Akgun to help us separate fact from fiction. Prof. Akgun is the Chairperson of History Department in Middle East Technical University, Turkish counterpart of Harvard, she had personally made researches in national archives of countries involved in Gallipoli Battle and Turkish Independence War, as well as archives of prestigious universities as Harvard. We had spent a very interesting day with her, she enlightened us with the straightforward facts. Her main lessons to us were “history is history, there is no history without documents and facts; without them, it is mythology” and “history is not a judge, not a prosecutor, not a jury, not a victim, not a criminal, history is a science and it’s job is to research truth via documents”. The doctorate dissertation of Prof. Akgun is rather interesting, it is about Mormons and Mormon missionaries in Ottoman Empire. She did extensive research about the topic in Utah and in Turkey, digging into various archives. Needless to say, we listened to her with attention and much enjoyed our Q&A and discussions with her. Lecture about 1915 events under the Ottomans, the Gallipoli Battle and the relocation of Ottoman Armenians. Lecture by Professor Seçil Akgün Karal, Chairperson of METU History Department. METU is Turkey’s counterpart for Harvard. One of the outcomes of our “Istanbul summit” was that we decided to modify one of the walks of the Istanbul tour. While we will keep the content as is, we will integrate a culinary experience within, tasting different samples of local delicacies as we walk. 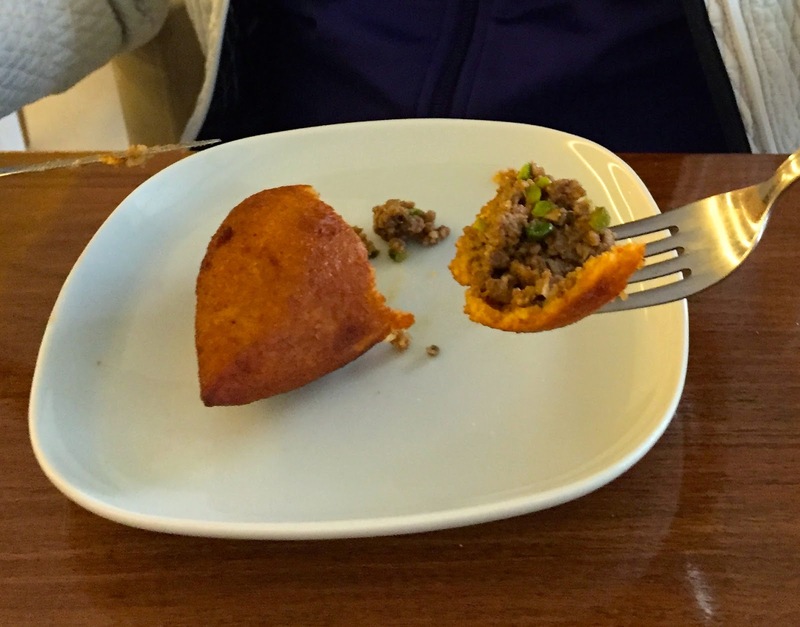 We decided that Debi Jo Michael (Rick Steves Turkey Tour Manager) tastes possible options we consider while she is in Istanbul. Collectively, with all guides, we agreed that Debi Jo tries blue goat’s cheese aged in goat skin, variety of olives, organic honey made by polens picked from chestnut trees, stuffed mussels, fried mussels, anchovy dipped in corn and fried in butter, pickled anchovies, smoked blue fish, stuffed cabbage leaves, steamed wild vegetables, black sea style pide, tripe soup, BBQed tripe sandwich, savory pastry with pastrami, wedding soup, stuffed dried sour eggplants, poppy seed cake soaked in honey syrup, helva, beat juice, ayran, lokum, baklava and Turkish coffee. Seasoned guide Mine Karahan Taner and Debi Jo Michael went on an expedition on past Saturday together to pick and choose for the Rick Steves Istanbul tour participants. Now, we have a list for our travelers to sample. When I travel visiting a grocery or a market is not a necessity to shop for me, but to rather understand the culture. The rich olive display can tell how much the we love our olives. It is estimated that there are approximately 80 different kinds of olive trees in Turkey with about 30 of them yielding edible fruits. Turkey is one of the top producers of olive and olive oil along with Spain, Italy and Greece. Type of a Turkish sausage called sucuk. It is made with beef and garlic. A local favorite. Scrambled eggs with sucuk for breakfast is a treat for almost all locals.